a bonfire for a clearout. Four leylandii, two elderberries and the scrap from a sycamore and an ash tree reduced to ash. The long straight bits of the ash and sycamore have been reserved for green woodworking over the winter break. i love a good bonfire! our garden is too small for one now but i used to have some great blazes at our old house! 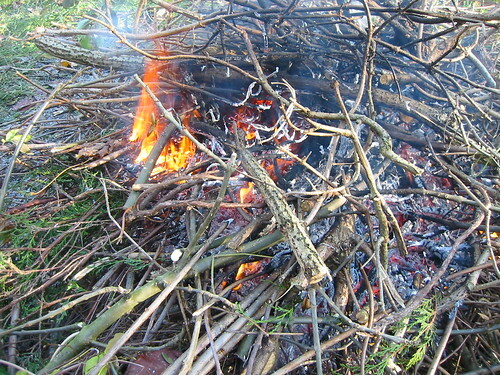 Compost is good, but fires are more fun!